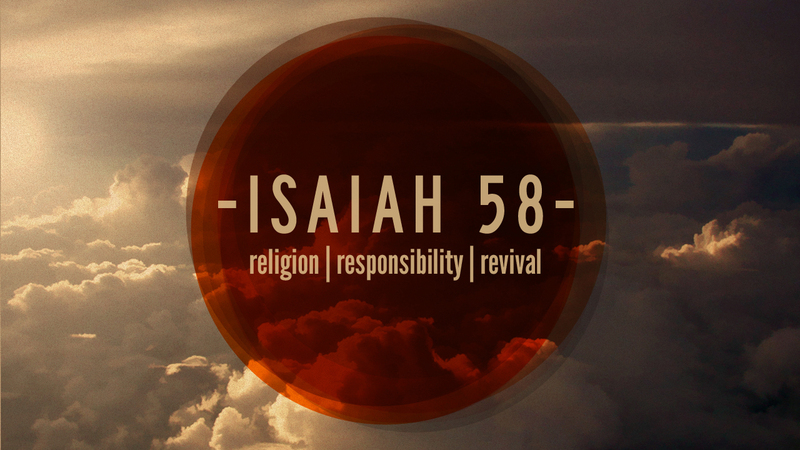 FBC Baton Rouge is beginning a new sermon series titled Isaiah 58 – Religion, Responsibility, Revival. We hope you can join us for this brand new three-week series. Religious attention paid to God apart from a genuine affection for God always leads to vanity of religion and entitlement in worship. True worship of God begins and ends with an abiding and unwavering affection for God, expressed in how we worship and how we live alongside others. See you Sunday at 9:45am for Bible Study and 11:00am for corporate worship. When Jesus was preparing to make his final journey toward Jerusalem to ultimately go to the cross, he took time to instruct his disciples as to what they should expect once he was resurrected and ascended into heaven. Of course, the short-sighted disciples didn’t understand what he really meant at that moment, but there would come a time when they would (Acts 2). In the Gospel of John, chapter 14, Jesus tells his disciples that while he would be leaving them (physically), they would not be left alone. John 14:16 reads “And I will ask the Father, and he will give you another Helper, to be with you forever.” So Jesus took the time to instruct his disciples on the presence of the Holy Spirit (“Helper”), who would be with them forever. The task set before these men in Matthew 28:18-20 would be daunting: take the gospel to every people group on the earth. What a task! But they would not be doing that work by themselves, because the Holy Spirit would be with them, always, even to the end of time. The mark of the church is the presence of the Holy Spirit, who is leading, guiding, convicting, and sanctifying God’s people for God’s glory. But how does the presence of the Holy Spirit in the lives of believers (the church) work itself out in a practical way? Well, there are many different ways this can be addressed. But in light of the topic (Why Church Matters) I would like to propose to you one particular way the church exemplifies the indwelling of the Holy Spirit and why that really does matter in a very big way. After the ascension of Jesus Christ, the immediate response of the first Christians was to gather together (Acts 1:12-14). The met together, prayed together, worshiped together, and were instructed together, in the name of Jesus, for the good of their own souls. See, the disciples knew that while they would be guarded and guided by the Holy Spirit they would still need their fellow workers to walk with them on this journey. I have often wondered how Peter and John were able to stand with such boldness before their fellow Jews and proclaim the gospel to people who would have preferred to see them dead. Yet, by the power of the Holy Spirit, and with their arms locked in unity with brothers and sisters in Christ, they stood and preached the truths of the gospel. Peter and John knew that they were not alone, nor would they ever be alone in this new global mission. The Spirit dwelt within them and fellow believers were praying for them. These first “Christians” of 1st century Palestine formed the very first Christian church, and the core of their fellowship was anchored in the reality that they were better off “together” than they would ever be apart. Even way back then, they knew Christianity is not for “Lone Rangers”, nor is it a journey that can be made alone without any help from others. If you think along those lines, unless you’re thinking changes you will find yourself woefully ineffective in your walk with Christ. The church was brought together in the name of Jesus to “be there” for one another. It is for our own good and for our sanctification. God knows you need others and he knows you will always be better off with others than by yourself. In several different places in his letters, the Apostle Paul describes just how much the church matters: we are one body (1 Corinthians 12:12-27), we are gifted for the good of others (Romans 12:3-8), we are fellow citizens in God’s kingdom (Ephesians 2:18-21) we are unified under God, in Christ, by the Holy Spirit (Ephesians 4:1-6), and we desperately need each other’s prayers (2 Corinthians 1:11). There is no evidence whatsoever in scripture that supports the idea that a man or woman is better off without the church. Our effectiveness as Christians depends upon our connection to the body of Christ. It is for our good and it will lead to God’s glory in our lives. The church is the primary means by which we receive biblical instruction, intercessory prayer, spiritual uplifting, places of service, and loving correction along the way. It is good and pleasing for God’s people to be together for his glory (Psalm 133). So don’t allow yourself to fall into that trap of self-sufficiency and self-reliance. We are here for one another, to encourage, pray for, and support each other as we journey together in this life for the glory of God. You cannot and will not be a Christian apart from the indwelling of the Holy Spirit. And you will only be effective as a Christian if you are connected to a growing body of believers. That is why the church matters, and we hope you take the time to see it for yourself. 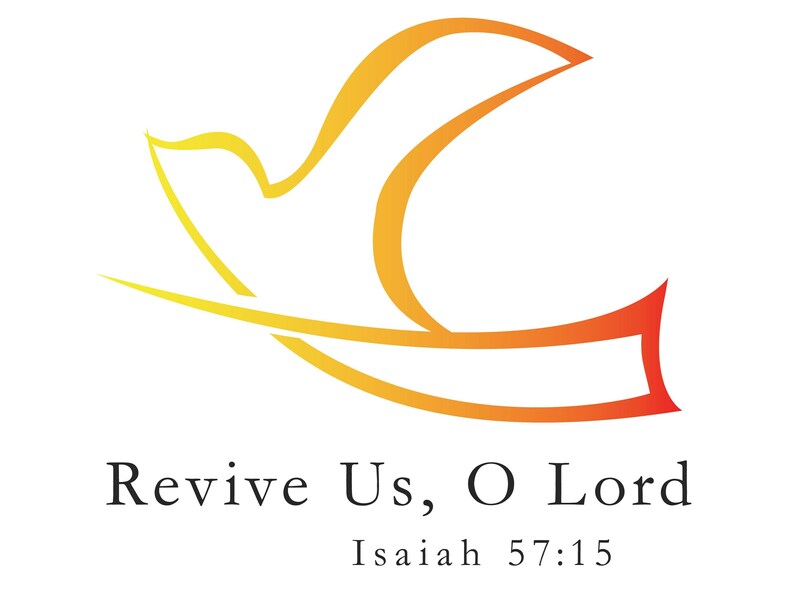 Please visit us at www.fbcbr.com to see how we operate as a unified body of beleivers for the glory of God and for the good of our city. Recorded in the book of Acts (Ch. 6) is an account of how a group of men were chosen among the early believers to take on the responsibility of serving others in the church, primarily the widows. That original 7 men, chosen from the church congregation, were given the title of deacon. The English word “deacon” is derived from the Greek word diakonos, which means “servant” or “minister.” Ultimately, the responsibility of a deacon within the church is to serve where service is needed. In the context of Acts 6, the deacons were selected to focus on serving the widows of the congregation, who needed food but did not have means to obtain what they required for themselves and their families. The pastors, or elders of the congregation were the Apostles, who had the primary role of preaching, teaching, and prayer, so that the gospel might be proclaimed and lives would be changed. But the apostles also had the task of caring for the widows as well as the daily “administration” of this new body of believers. Keep in mind that Peter, John, and the other apostles were leaders of the very 1st Christian church in history, and they were, in a way, forced to employ the “learn as we go” strategy. What they learned very early on was that they would not be able to serve all those who had physical needs as well as preach and teach the Word of God. So they gathered together to designate a specific group of faithful men, of good reputation and filled with the Spirit (Acts 6:3) to serve the widows and the congregation. It was an office of honor among the church members; not because of who the men were, but because of the task they were given and the great responsibility they had to care for the needs of God’s people. The context in which we live today is no different than the time of the early Christian church. There are so many people in our cities, and our churches, who have needs which God has given us to meet. And the group of men at First Baptist Church who have been given that privilege, like the early church servants in Acts 6, are called deacons. And as the pastor of FBC, I want you to know just how grateful I am to have such an incredible group of men to serve alongside who I can depend on and call on anytime. In the wake of Hurricane Isaac, where so much wind and rain threatened our homes and our lives, we have seen first-hand evidence of this compassionate and caring service on the part of our deacons. From the time we found out the storm was headed toward Baton Rouge, our deacons were actively and consistently checking in on our church members and meeting any needs they had before, during and after this terrible storm. First and foremost, all praise goes to God for sparing us from any major catastrophes. In times like these, we recognize His deep mercies and his abounding grace are at work in the lives of his people (Isaiah 33:2). But it should come as no surprise that God uses faithful men of good reputation and filled with His Spirit, to extend his grace to hurting people. God uses his servants to bless the lives of others. That is the way it is supposed to be and that is what we as a church body will seek to do. We live in a day when so many lament the problems of the church, saying they have no need for the church because it’s filled with judgmental hypocrites. While that is partially true (yes, churches have hypocrites)I wouldn’t say that every church is “filled” with so many wretched people as to make it so undesirable. And to imply that the church is unnecessary is simply ignorant. We need other people and we need each other. All Christians are called to serve others. But there are also times when we need others to serve us. And this is why the church, more so than in any other organization, rises to the occasion when there are such great needs. Here is the reality: while every church has hypocrites, it is also filled with Christ-honoring, compassionate, selfless, and loving servants who want to help others simply because they care for them and desire to help them in the name of Jesus Christ. I can’t speak for all other churches, but I can speak for mine: We have a great group of servants who seek to meet the needs of our congregation in a way that is selfless and sacrificial. I love those men and I am proud to be their pastor. And when the next storm arises and threatens our homes and our families, causing great needs to arise within the church body and in the community, I know we have a force of men ready and willing to serve, because that is what deacons do. We all need other people at times. That is why the church matters.